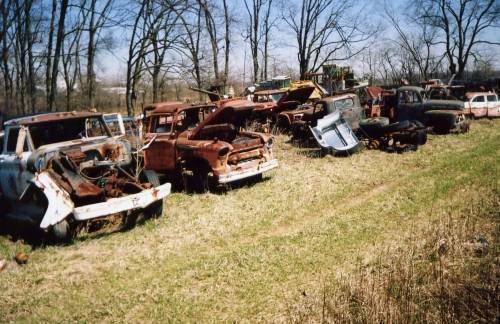 Rusty Old Trucks in Indiana Photo Picture Classic Cars for sale & Classifieds - Buy Sell Classic Car & Classic Truck Classifieds. The old ford truck is a "51" possibly a "52", see the big rear window. I'll take that old ford pickup. I know exactly where this is at!! I see a early 60s a 56 chevys. Other is a 48 or 9 Ford F-1. Also see pink and white 55 Ford Vic. 4 door. Can't make out others. Nice pic.